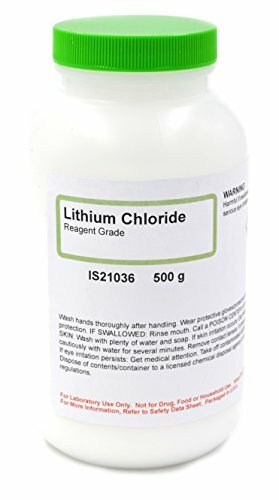 Innovating Science's lithium chloride reagent comes in a 500g bottle. Often used for organic synthesis and RNA precipitation, this makes the chemical a perfect fit in any educational lab dealing with biochemistry or spectroscopy. Each bottle has safe handling and storage procedures printed directly on the bottle. This is a high quality chemical designed for use in research labs. If you have any questions about this product by Innovating Science, contact us by completing and submitting the form below. If you are looking for a specif part number, please include it with your message.